A light, fluttering vibrato of a vocal with twinkling, breezy production that leans towards the alternative end of pop. 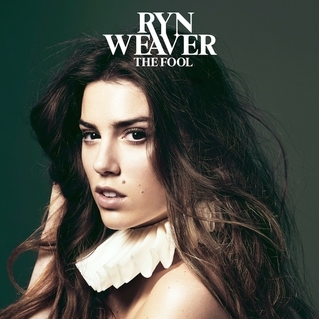 That’s Ryn Weaver’s debut album ‘The Fool’ in a nutshell, a formula that she established on last year’s enchanting breakthrough single OctaHate. That track remains Weaver’s best work, a pop track that quivers and stomps all at once in beguiling fashion. Its bite and power can perhaps be attributed to co-writer Charli XCX and co-producer Cashmere Cat, as the album (without them) fails to sustain the song’s momentum. Spread thin, Weaver’s music loses some of its charm. Interestingly enough, opening track Runaway is one of few songs to break from the formula – dark and percussive, it subverts the expectations that OctaHate instilled. Soon, though, the album settles into an all too familiar rhythm. The Argentinian-born singer-songwriter has worked with Passion Pit frontman Michael Angelakos and producer Benny Blanco, and their influences are stamped all across ‘The Fool’. From Blanco there’s the bright polished pop he’s known for; from Angelakos there are the glittering, fairy-like touches that are littered throughout Passion Pit’s work. It’s certainly a consistent sound, sitting somewhere between alt-pop and folktronica, and it’s changed up just enough across the album to retain interest. There are the folk melodies of Pierre, the electronic stomp of Stay Low, the evocative guitars of Sail On, the warm melancholy of Promises, and the widescreen joy of Free. Travelling Song strips back the production with an acoustic ballad that proves Weaver’s vocal isn’t short on emotion, when elsewhere it frequently sounds timid and unsure. Yet ‘The Fool’ is short on big melodies and the addictive quality of the best of pop. Instead, Weaver has delivered an album of quiet introspection that’s not quite angst-ridden popstar, nor sylph-like folk singer. At times it’s beautiful, with a distinct sound full of tiny details that sometimes borders on magic; but for those expecting Weaver to deliver an album of punchy pop tracks on a par with OctaHate, ‘The Fool’ falls short. Listen: ‘The Fool’ is available now.